The personal stories and adventures of a nerdy food lover. Mad March is the time of year where everything happens in Adelaide. With events such as the Adelaide Festival, Fringe Festival, Clipsal 500, the Adelaide Cup, WOMADelaide and other music festivals, such as Future Music Festival, in town throughout March, there’s lots of things happening around Adelaide. You could say Adelaide is going a bit bananas at the moment, which leads me to the recipe I’m sharing today. After some sessions at Adelaide Writers’ Week, which is part of the Adelaide Festival, I was really craving for something sweet to have after dinner. 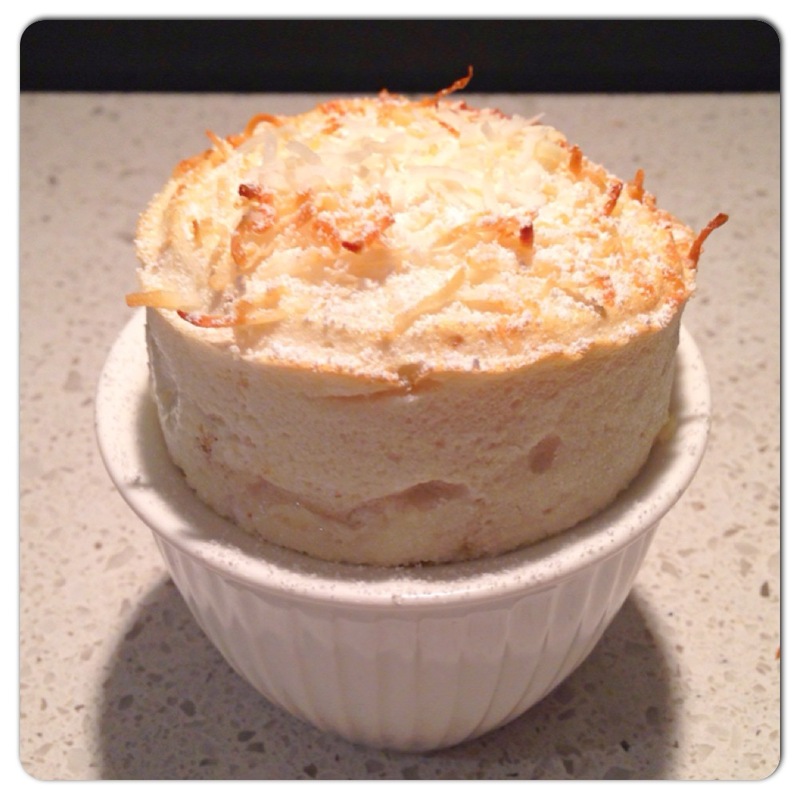 I came across this banana and lime soufflé recipe a few weeks ago but didn’t really think twice about it until now. It’s not a flavour combination I would normally think of doing in a soufflé, but I was feeling rather inspired and adventurous after listening to some amazing authors speak at the Adelaide Writers’ Week event. I was really surprised how it tasted. It was described as tasting like a banana milkshake, and it certainly tasted like one! It was definitely worth taking a punt and trying something a bit different. The other great thing about this recipe, is that it takes less than half an hour to make! This recipe serves 4. Preheat oven to 190˚C (fan forced). Brush 4 x ½ cup (125ml) ramekins with the melted butter then coat the inside of the ramekin with the extra caster sugar. Shake out any excess sugar. 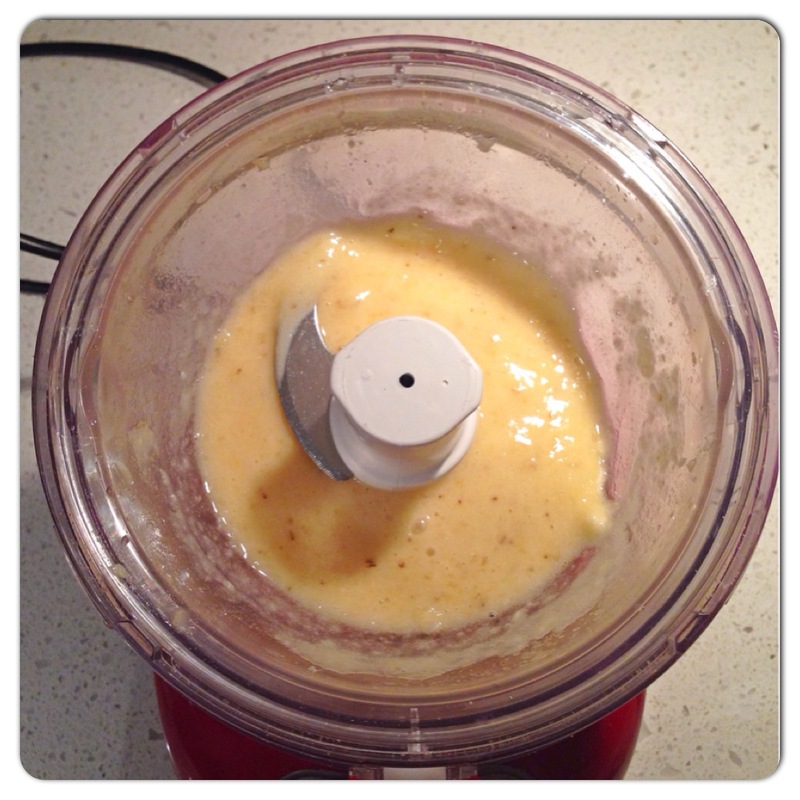 Chuck the banana, lime juice and rum into a food processor and give it all a blitz until smooth. Pour out into a large bowl and set aside. 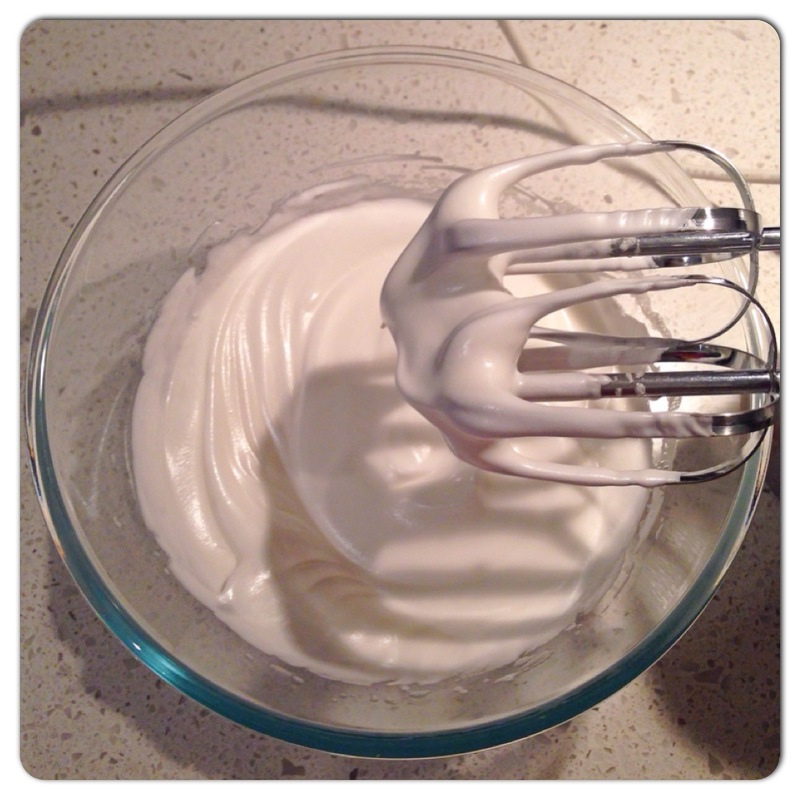 Beat the eggwhites with an electric beater on medium speed until soft peaks form. 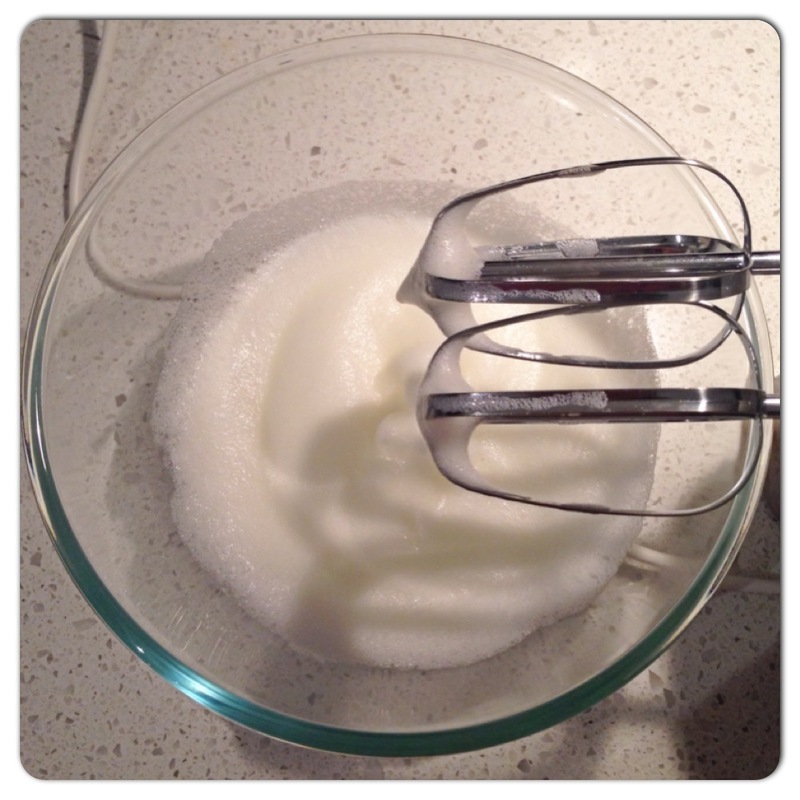 Turn the speed up to high, gradually add the sugar and beat until stiff and glossy. 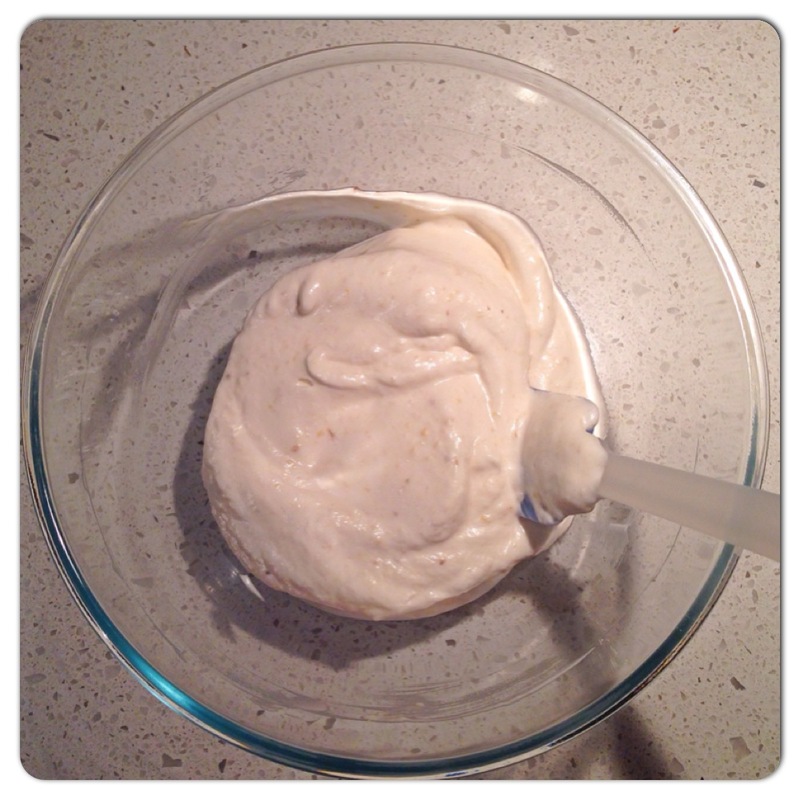 Gently fold the meringue mixture into the banana mixture. Divide between the ramekins and smooth the tops. Run your finger around the inside edge of the ramekin. This will separate the mixture from the edge of the ramekin so it rises evenly upwards. Sprinkle the top with the shredded coconut. Pop the ramekins onto a baking tray, shove it all into the oven and bake for about 12 minutes or until the top is golden and the soufflé has risen. Before serving, dust a little icing sugar over the top. Note: I didn’t make any changes to the original recipe which was a Jill Dupleix recipe featured in the February 2014 issue of Delicious magazine. Gorgeous! Look at the height on that thing! Thanks Patty! I’m so happy that they rose! mmmmm banana, lime, rum, coconut. Anything with those flavours is gonna rock. I have never made souffle & have been thinking I should give it a try so now I have found my recipe. Thanks Lorraine! I feel like this combo should be more of a cocktail rather than a dessert, but it actually works really well. A thirty-something science nerd who was stuck in the financial services industry but has schemed a way out. Loves to cook but loves to eat food even more. Other things about me: passionate Francophile, life long student, voracious reader, gamer, eclectic taste in TV shows and music, constantly yearns to travel and freaks out over anything cute and fluffy. The Cooking Chook turns 2! ANZAC Day 2014: Today, we will remember them. Salad is totally boring…. Or is it? eat, see, play, feel, travel, learn, teach........& stuff!! Eating and Travelling, along with the best pair of Mary Janes.